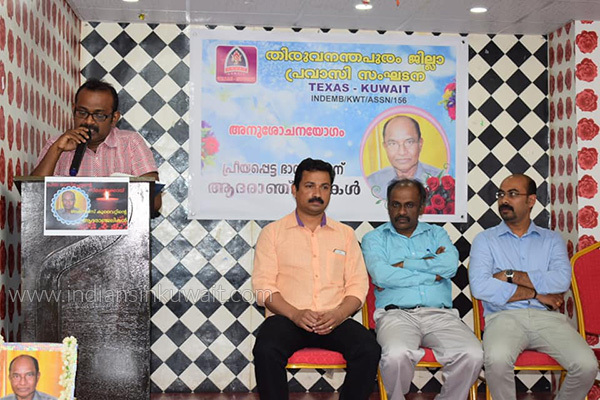 Thiruvananthapuram District Expatriates Association, Texas Kuwait conducted Condolence meeting at Orma plaza auditorium, Abbasiya on 29 June 2018 presided by Texas Kuwait President Mr. Binu Sukumaran. 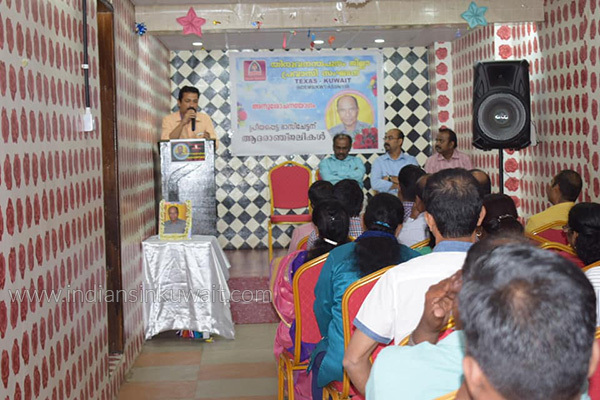 Mr. Biju Stephen shared the aspects of Late Bhaskaran who passed away a few days earlier with the audience consisting of various personalities of different associations. 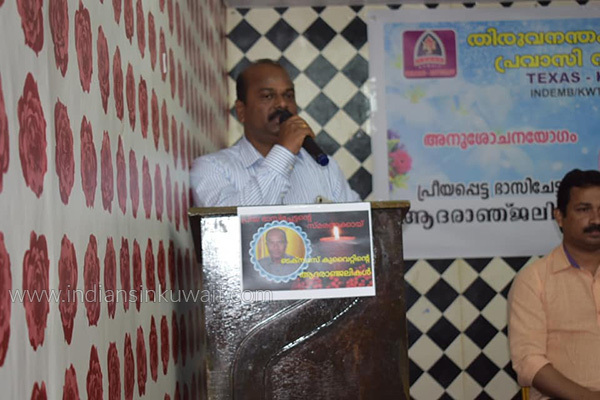 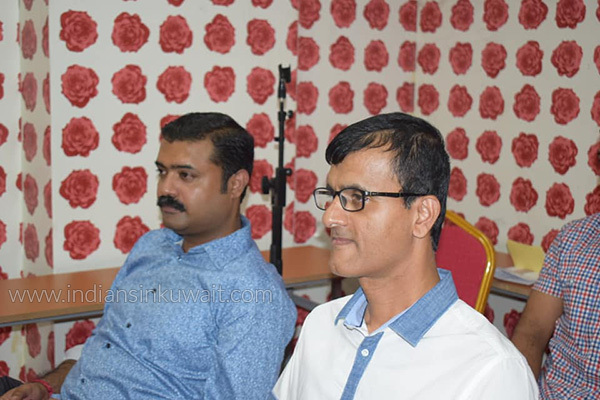 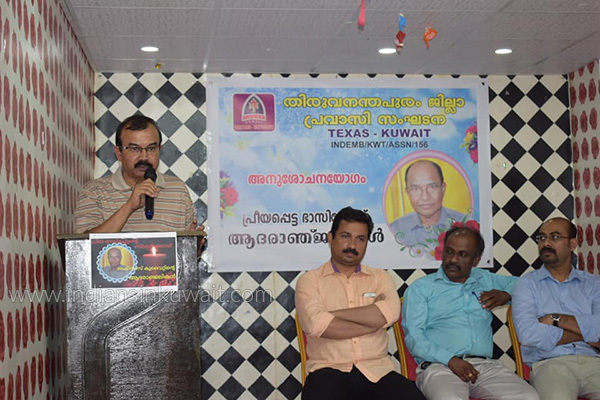 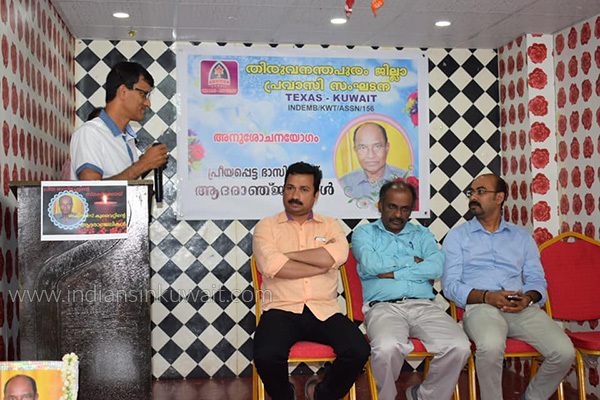 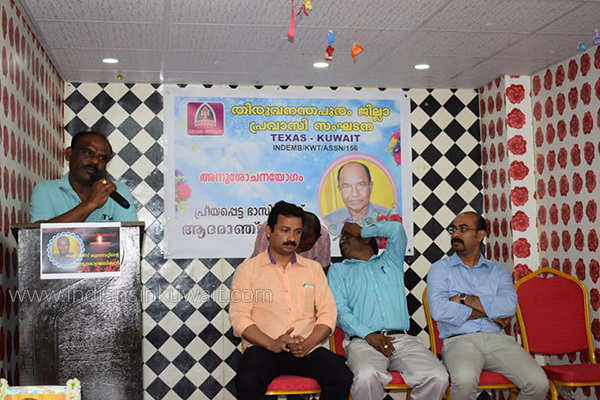 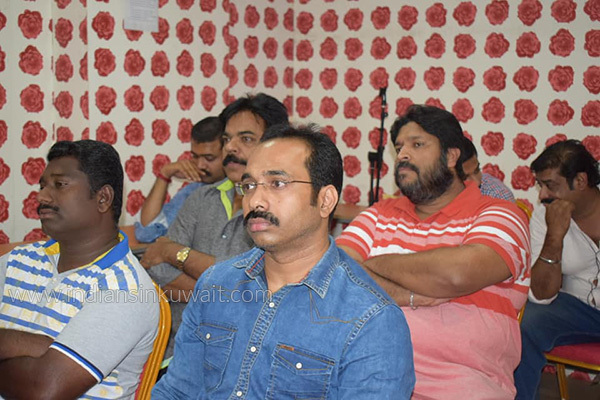 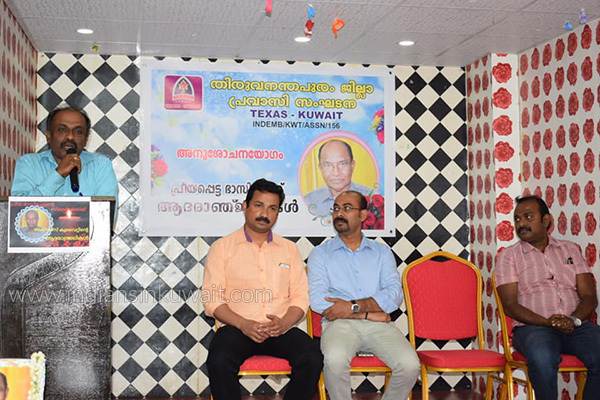 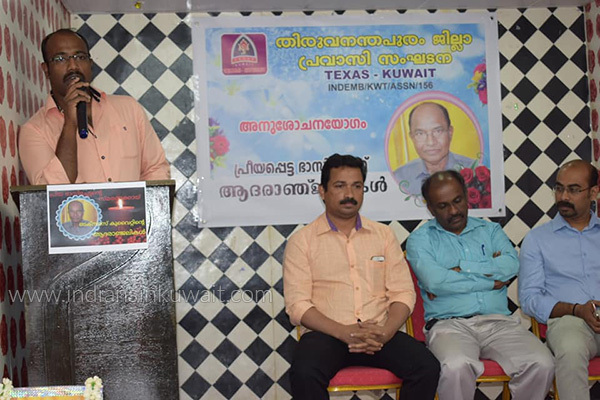 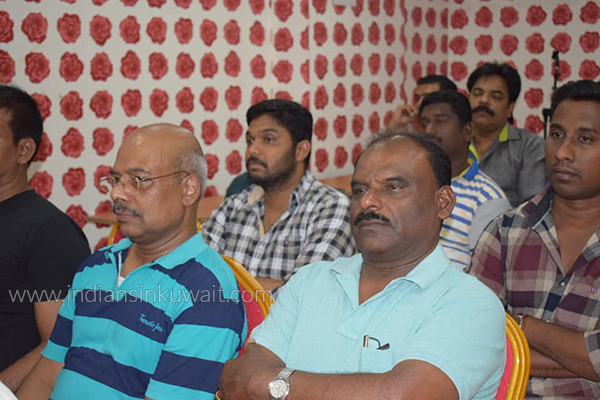 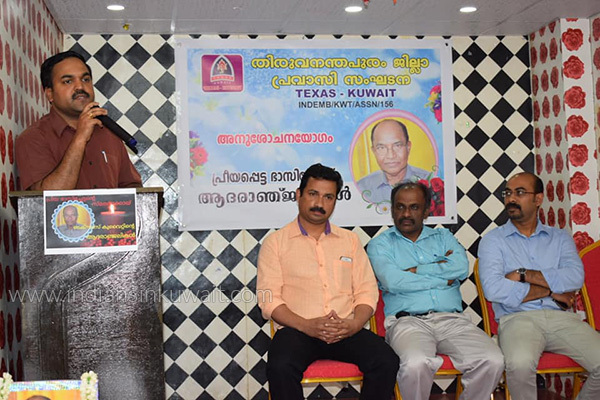 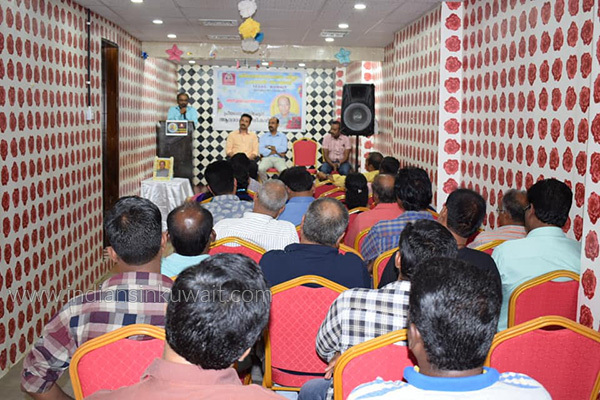 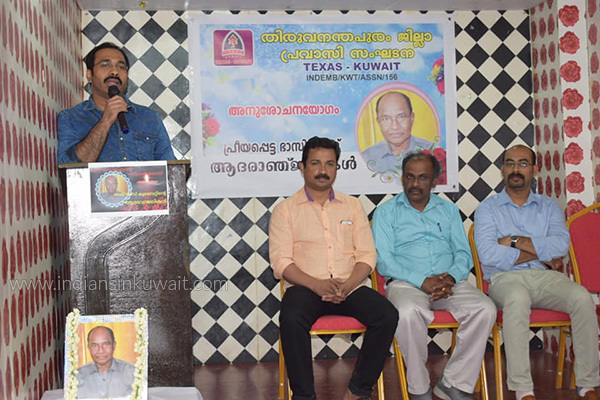 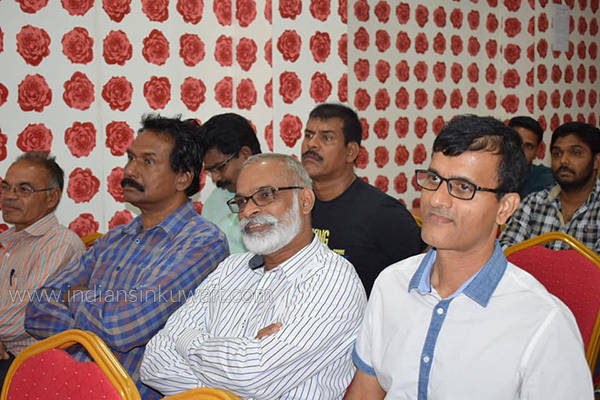 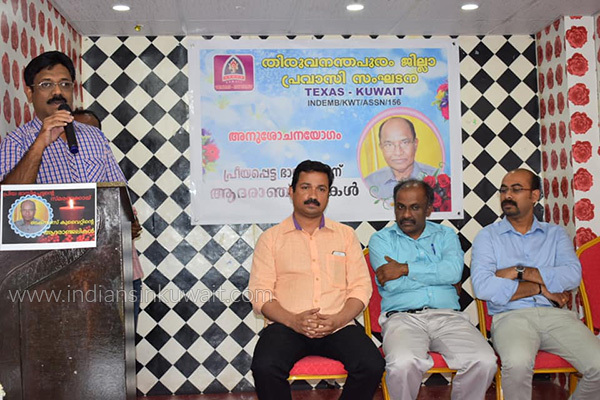 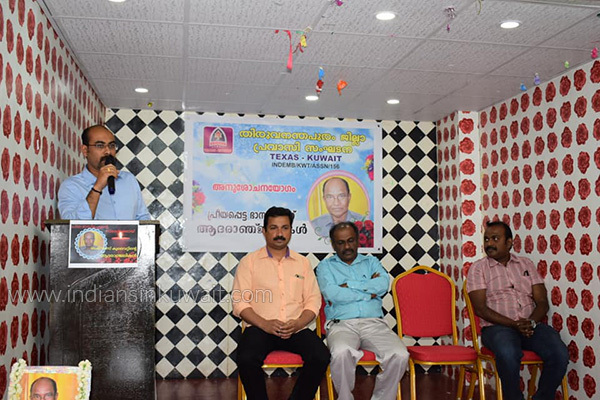 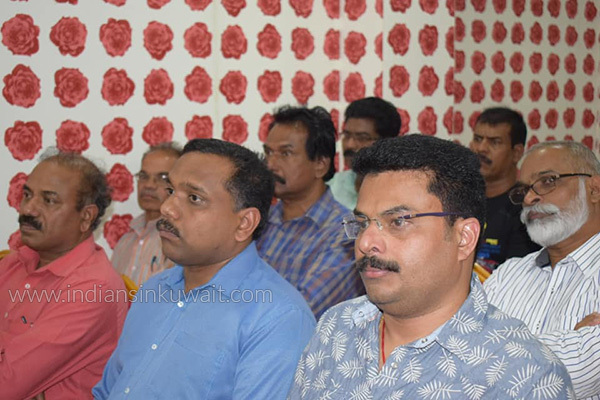 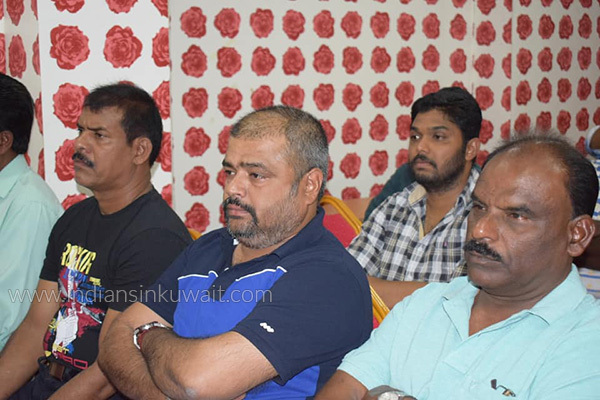 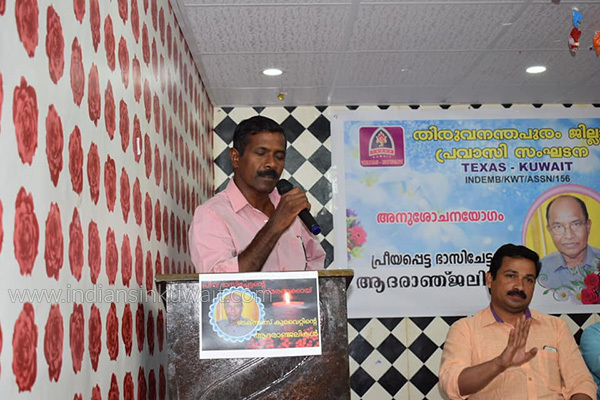 Welcome speech was given by Sumesh Sudhakaran, General secretary of Texas Kuwait and Mr. Hassan Koya, Mr. Mukesh, Mr. Sunil Kumar, Mr. Rajesh, Mr. Shyjith were expressed their personal encounters and condolence to Late Bhaskaran.